This is the first question that our Colombia travel specialists often get when planning travel there. Americans in particular have concerns about traveling to a country so recently known for its centrality to the drug trade, and the violence that was born of it. I’m going to be honest with you. There’s part of us here at Global Basecamps that wants to lie to you. Part of us wants to say “wait 10 more years for things to settle down,” or “the security is not quite there yet.” There seems to be an exclusive club of travelers these days, a secret cabal of people in the know. They know Colombia tours have been safe for years. They know its beaches are top notch. They know it is absolutely one of the best countries to travel in almost because so few people go there. Really, this is no secret if you’ve been paying attention. 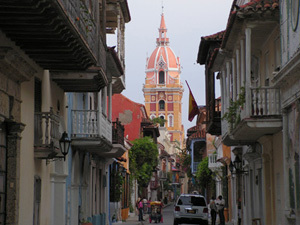 In 2008, The New York Times officially declared Cartagena a foodie destination. Travel + Leisure called Cartagena a Hidden Retreat in the same year. Last year, the Times seemed to still be on the Colombia-train, moving onto the great eats in Bogota and its tourist revival. It’s a common topic of conversation in our office. How do we get the message across that Colombia is safe, when the New York Times can’t seem to do it? Consider us stumped. 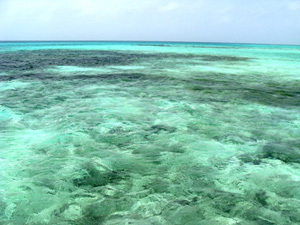 The best we can do is describe the perfect vacation setting as best we can, and travelers can make up their own minds. First, you get off a short flight in Bogota’s international airport (flights from Miami clock in at 3.5 hours) and are met by an easy-going, cosmopolitan, modern, exciting, welcoming city. There are bohemian neighborhoods teeming with new and old culture. There are restaurants ready to blow your foodie socks off. Colonial buildings maintained by a people fiercely proud of their heritage line cobblestone streets. Even if you never see the rest of the country, which you should, Bogota is so close to the United States, there’s no reason not to take a long weekend and pay a visit. After a few days of exploration followed by nights of lazy cocktails (or wild nightlife), you can head to Cartagena. And right about now is when you realize: there are no armored humvees on every street corner. The locals are blissfully happy, not scared for their lives. You begin to ask yourself: “Has this country really been hiding under our noses this whole time?” Fifteen years ago, Cartagena was a backpacker’s destination. Only the brave traveled here. 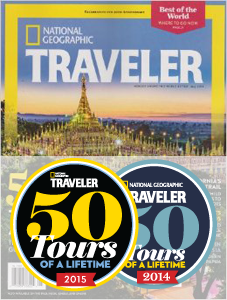 Every year since then, the travelers have been wealthier, and hotels here now cater to every kind of traveler. The street food is still delicious, but the restaurants really bring international chops to a sophisticated palate. Then you fly to Medellin. A center of the drug trade has flipped itself around. In 20 years, former gang members have turned into artists, once terrified residents now take pride in their city. New parks, beautiful new architecture, and a burgeoning art culture can do more than make a city prettier. The culture here is now hopeful, happy, warm, and lively. Like most of Colombia, Medellin is known for its epic nightlife, and if you’re interested in live music that changes your life, it’s here and waiting for you. We could go on. Stunning national parks with dense, wonderful wildlife. Colonial architecture in towns that seem stuck in the 17th century. Beaches that never end. Beautiful locals who can’t wait to show the world that their home is not a warzone.